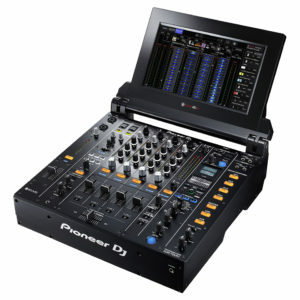 The X1800 Prime’s crisp, OLED screen is your window into even more creative expression within your DJ sets. 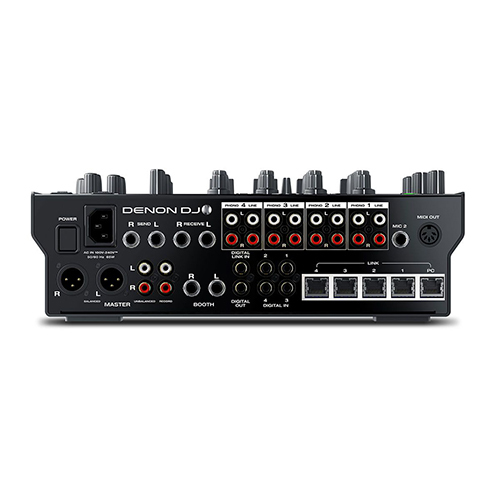 Personalize your workflow, access 14 additional, high-quality Denon DJ effects, then fire in the unique, quick-to-set Effects Quantization Touch Strip, engaging elegant rhythm-based adjustments to shape your sound to the max! 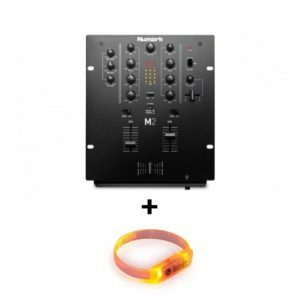 The X1800 sports Denon DJ’s ‘Flex-Fader’ Crossfader too, adjustable to how you like to rock the mix, with this and all other components, housed in the unit’s rugged metal construction. The X1800’s dual sweep FX knobs bring you fresh possibilities of creative expression – pick one of four ‘paired’ FX types (Dub Echo, Noise, Wash Out or Gate) and roll one of the dedicated channel sweep encoders to the left for one sound, and to the right to morph into another. Live and creative effects manipulation has never been so fast and expressive. 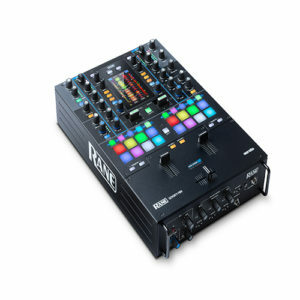 Cut fast and furious into your tracks with the X1800 Prime Instant FX button then glide your finger across its unique FX Touchstrip to change the FX BPM and LFO’s. 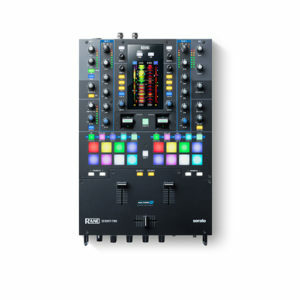 The X1800 is literally bursting at the seams with high-quality effects, further enhanced by the 12 classic and finely tuned legendary Denon DJ effects. Cutting, scratching, blending and mixing just got even more personalized. 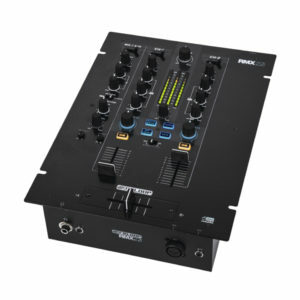 Denon DJ’s iconic ‘Flex-Fader’ technology adds adjustable resistance to the X1800’s Crossfader response. Optimize your moves and control the crowd! 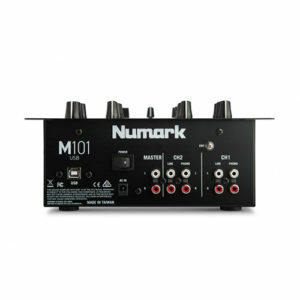 Connect your laptop to one of the X1800’s two USB audio connections and access your favorite DJ software. 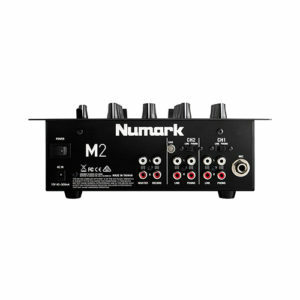 Use the second port for a back-up laptop solution, or run an alternative DJ application in tandem. 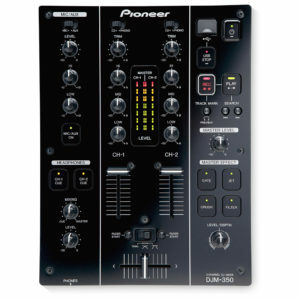 If you want easy, double-up performances or hand-offs to a DJ pal playing by your side, the X1800 Prime has you covered too. 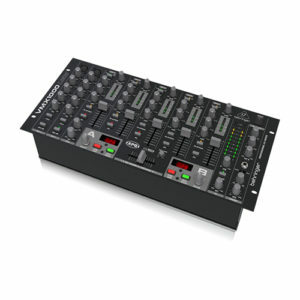 The 7-channel VMX1000USB DJ Mixer is designed to connect directly to your computer and take your music straight into the digital realm. 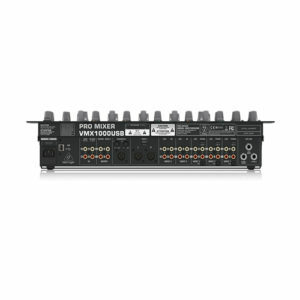 In an instant, the VMX1000USB allows you to record and play any digital music file from your PC or Mac* computer – with no setup drivers required!Dual intelligent, built-in BPM (Beats per Minute) counters with Sync Lock and Beat Assist help keep your tracks in sync – plus our VCA-controlled faders and crossfader ensure flawless performance.The VMX1000USB also features our proprietary XPQ 3D Surround effect, which allows you to expand the stereo image to create an awesome experience for your audience. 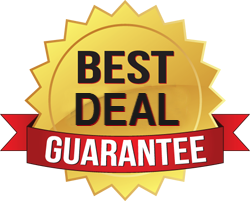 We’ve also included a free download for a massive software bundle that will transform your computer into a full-fledged music production and editing studio! 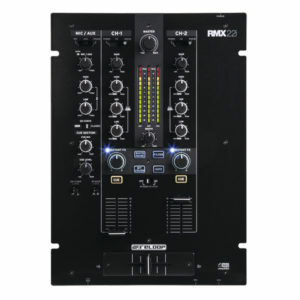 Control, sound, reliability and durability distinguish Rane’s new techno house club mixer for high-end audio systems.Born from a legacy of rotary club mixers beginning in 1971 with Rudy Bozak’s CMA-10-2DL, on to 1982 and UREI’s 1620, then in 1999 Rane’s MP2016/XP2016 combo, and now in 2015, the MP2015 represents the next revival and evolution. 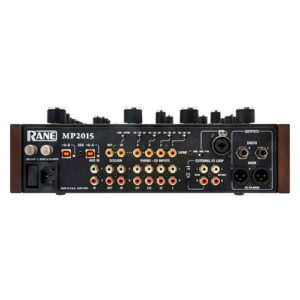 This mixer has an analog soul with a digital heart.With over 40 years of rotary mixer experience to draw on, along with collaboration and input from the world’s best techno house DJs, the MP2015 is the best mixer produced by Rane—ever. 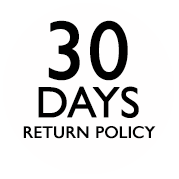 There are no compromises in the design. 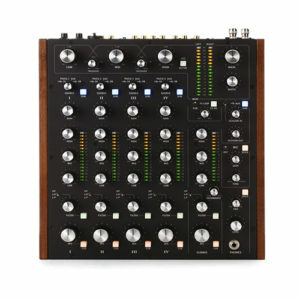 It has the best sound, the best features, the best feel, and the best reliability and durability. 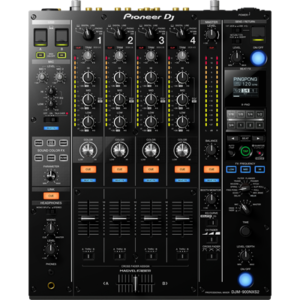 The Reloop RMX-33i is a 3+1 channel DJ mixer with digital audio architecture and integrated Instant Sound Colour effects. 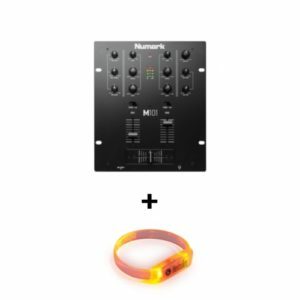 This compact club-style mixer benefits from the same high-quality build and sound characteristics that are already found on the flagship RMX-80 Digital mixer. 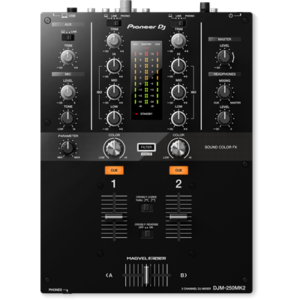 Pioneer DJM Series pro mixers are the industry standard centerpieces for pro-level DJ performances, and now they’ve upped the ante with the PIONEER DJ DJM TOUR1. 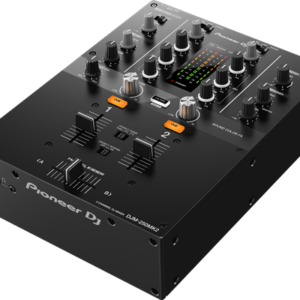 Tour from festival to arena with the PIONEER DJ DJM TOUR1 and perform at the highest level. 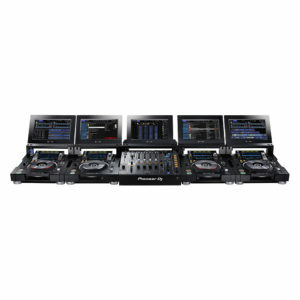 Connect up to 4 CDJ-TOUR1’s via Pro DJ Link and enjoy a sturdy, reliable set-up every single performance. 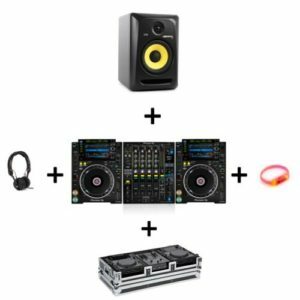 A Great DJ Mixer with Killer Perks! 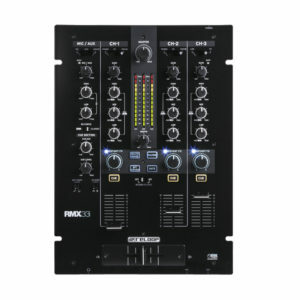 If you’re looking for an affordable DJ mixer that won’t let you down when it comes to the important essentials, then check out the PIONEER DJ DJM-350. 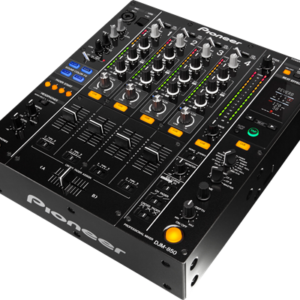 ThePIONEER DJ DJM-350 gives you the same kinds of functions found in throughout Pioneer’s DJM series mixers, but at an entry-level price. 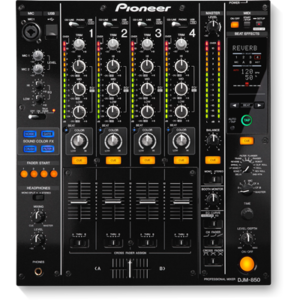 Four different onboard effects give you considerable remixing power, and a standard isolated 3-band equalizer makes the PIONEER DJ DJM-350 an excellent performance mixer. 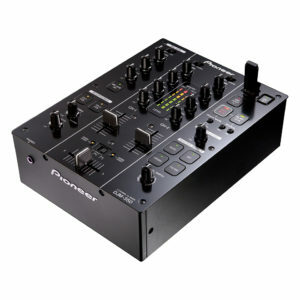 Even better, you can use the PIONEER DJ DJM-350 to record directly onto USB storage devices – no computer needed! 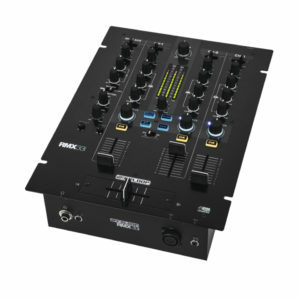 The Reloop RMX-22i is a 2+1 channel DJ mixer with digital audio architecture and integrated Instant Sound Colour effects. 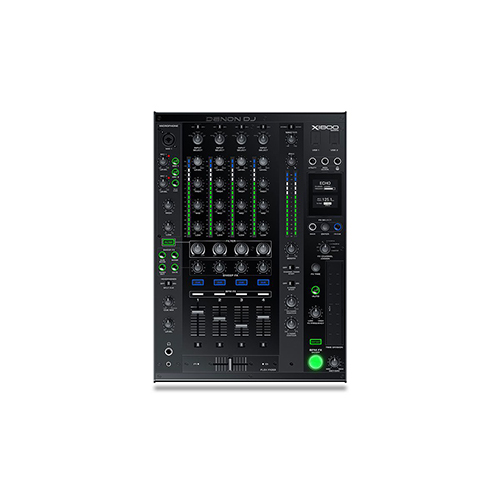 This compact club-style mixer benefits from the same high-quality build and sound characteristics that are already found on the flagship RMX-80 Digital mixer.